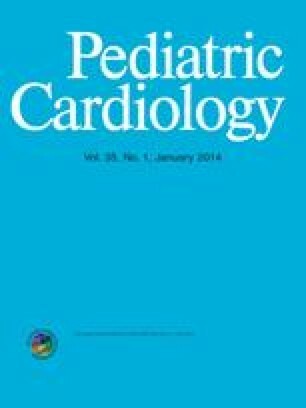 Hemodynamic and hormonal effects of captopril were prospectively studied in 12 children (median age 5.8 years, range 4 weeks to 15 years) with dilated cardiomyopathy. A mean dose of 1.83 mg captopril/kg body weight was administered in three or four single doses depending on age. Left ventricular volume, ejection fraction (EF), cardiac index (CI), and systemic vascular resistance (SVR) were noninvasively determined by two-dimensional (2D) and Doppler echocardiography before and 2 days and 3 months after the onset of treatment. Blood pressure and heart rate were recorded as well. Additionally, on the day hemodynamic measurements were made, plasma renin activity (PRA), serum aldosterone, and plasma atrial natriuretic peptide (ANP) concentrations were determined. Plasma catecholamines were measured before and 2 days after captopril treatment. Concomitant medication was kept constant during the short-term phase of captopril treatment. During long-term therapy, diuretics were reduced according to the clinical status. Stroke volume (SVI) (−7%), end-systolic (ESVI) (−31%), and enddiastolic (EDVI) (−21%) volume indexes were significantly reduced (p<0.05) during short-and long-term therapy. The remaining hemodynamic parameters showed only minor, statistically not significant, changes. During short-term therapy, median serum aldosterone levels fell from 138–88.5 pg/ml (p<0.05), and plasma ANP decreased from 144–94 pg/ml (p<0.05). After 3 months these effects were less marked and statistically no longer significant. Changes in PRA and plasma catecholamines were not statistically significant at any time. Captopril thus exerted beneficial hemodynamic effects in these children with dilated cardiomyopathy by reducing left ventricular volume load. Acute hormonal drug effects were distinctly weakened during long-term therapy, while hemodynamic improvement was maintained.